I love Navy blue! I know I’m not the only one because it’s all over the place. 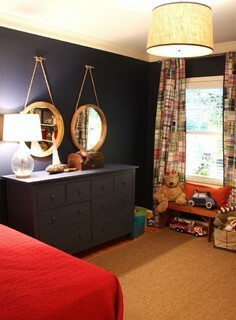 If you love receiving those fabulous Pottery Barn catalogs like I do, you’ll have seen Navy blue galore. They even have a whole Pinterest Board dedicated to Navy Blue (Indigo actually, but I’m considering all darker shades of blue Navy). 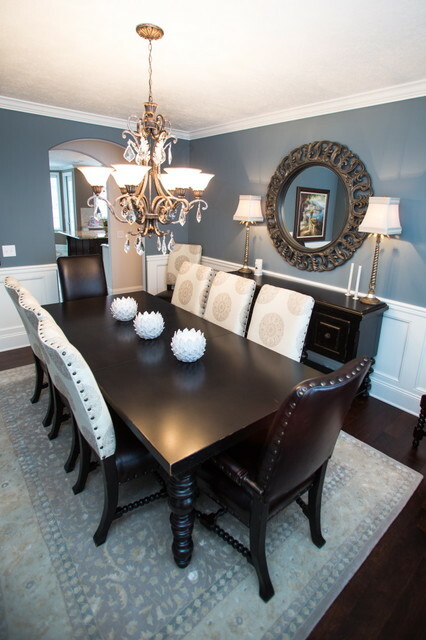 It is such a great color for decor because it is classic and timeless, but it is also a lovely paint color. I’ve jumped on this Navy Blue paint bandwagon with full force. 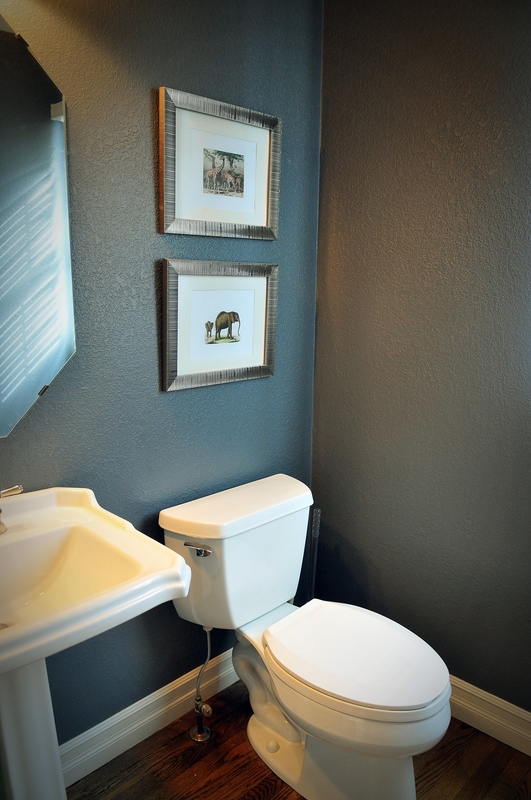 I have actually painted two bathrooms in my house with two separate shades of Navy blue. 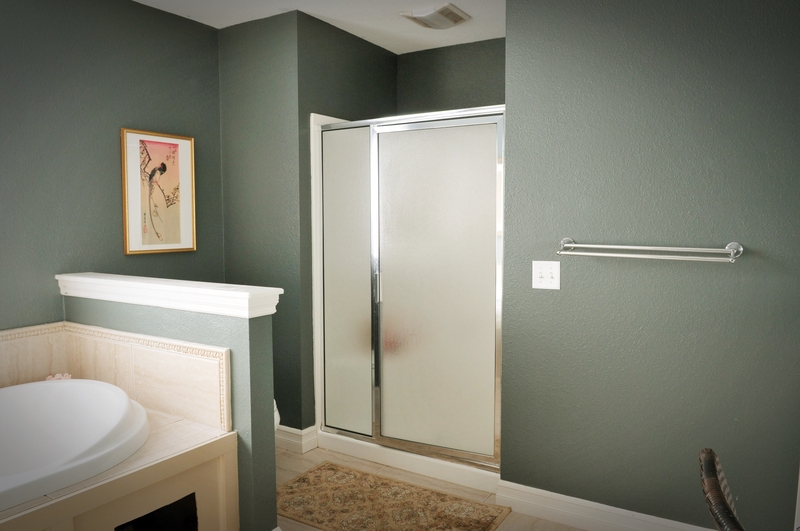 Our Master bath still needs some lovin’, don’t judge! I use Sherwin Williams paint because I like their Proclassic for painting furniture, so I’ve become most acquainted with their colors. The colors I’ve provided are Sherwin Williams colors, but you can have these colors mixed in any brand of paint. Simply ask at the paint desk or your preferred paint retailer if they have a Sherwin Williams paint deck, or go to your local Sherwin Williams store and take some paint chips with these colors to your preferred paint retailer. Almost every paint retailer can do color matching. I’ve taken quite some liberty on the “Navy” Blue, but I wanted to share all of these beautiful shades. 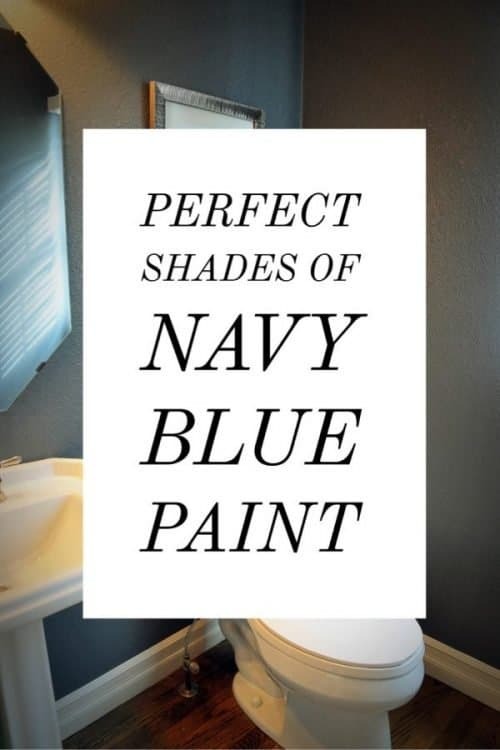 Naval is, in my opinion, the truest Navy Blue. Gibraltar, Indigo Batik, Homburg Gray, Granite Peak, and Grays Harbor are all closer variations. The others are lighter shades, but are not necessarily considered, in my opinion again, a light blue. Riverway is a beautiful color! My cousin has it in her bathroom with pops of silver and it looks so elegant. So, without further ado… here are some beautiful shades of Navy Blue! 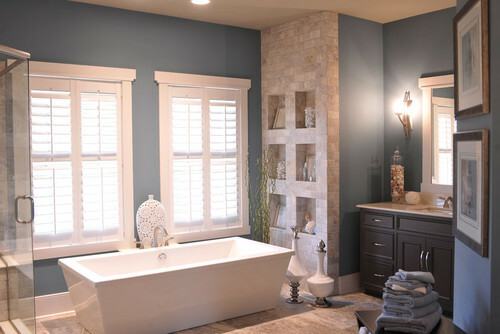 Sherwin Williams Naval is also a featured Pottery Barn color. 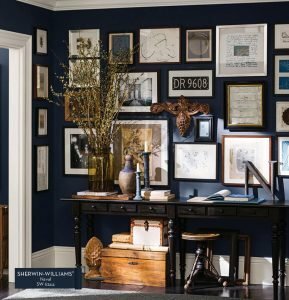 One thing that I’ve learned with all paint (Navy Blue followed suit) is that you really need to try it on your walls with your existing flooring and fixtures. 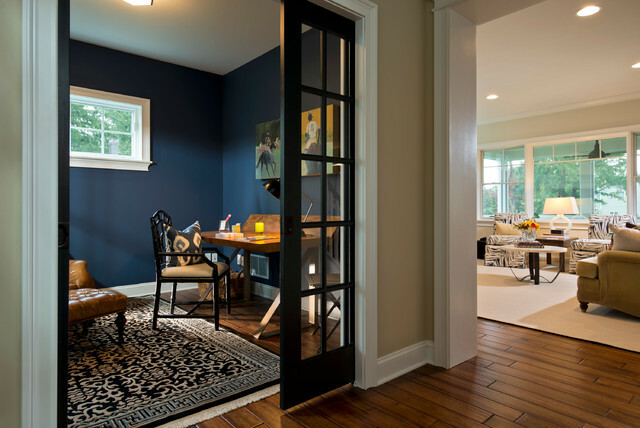 I brought home samples of five different shades of Navy blue, and there were definitely shades that just immediately gelled better with my existing flooring and fixtures. If you look at the two pictures at the top of this post from my home, the paint colors look similar, but they are definitely different. 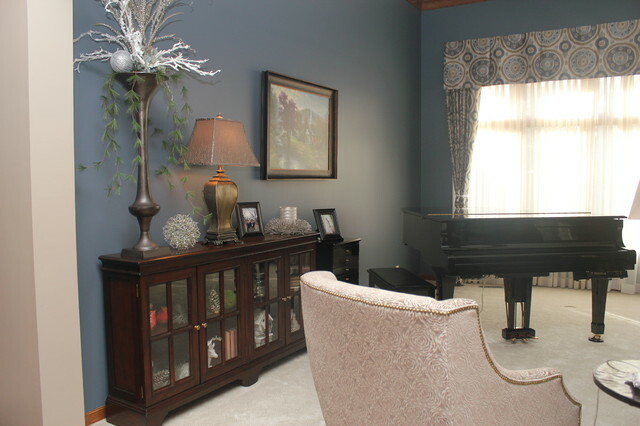 When I tried the opposing color in each room, it just did not look right. 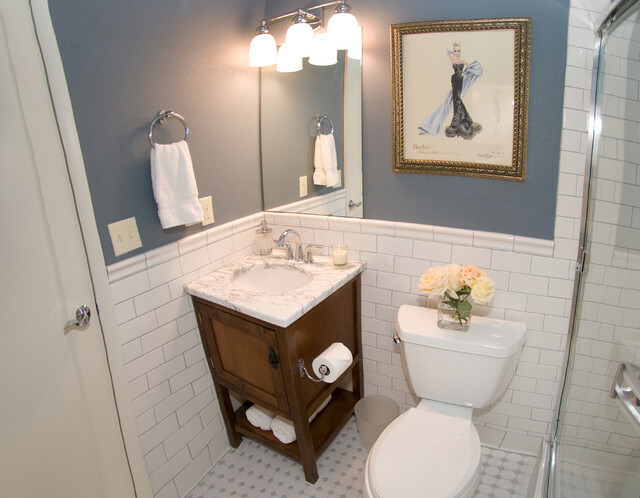 The Sherwin Williams Homburg Gray (top picture) was too gray for my warm toned wood floors in my powder room, and the Sherwin Williams Gibraltar (bottom picture) was too blue for the gray tiles in our Master bathroom. This is why I stress the importance of trying a sample on your wall. 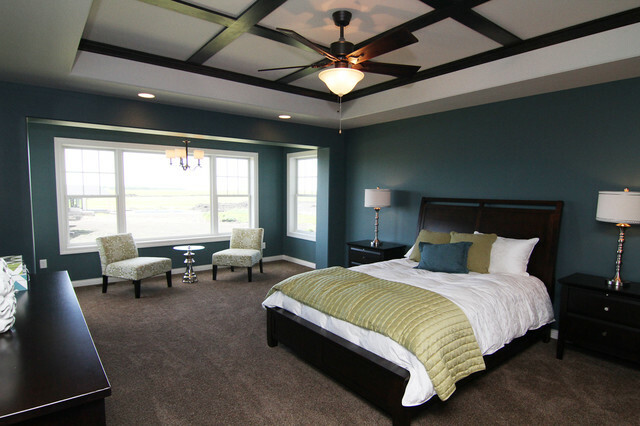 I have done another post titled “#1 Rule of Thumb for Picking the Perfect Paint color for your wall” which gives some tips for selecting the right paint color. 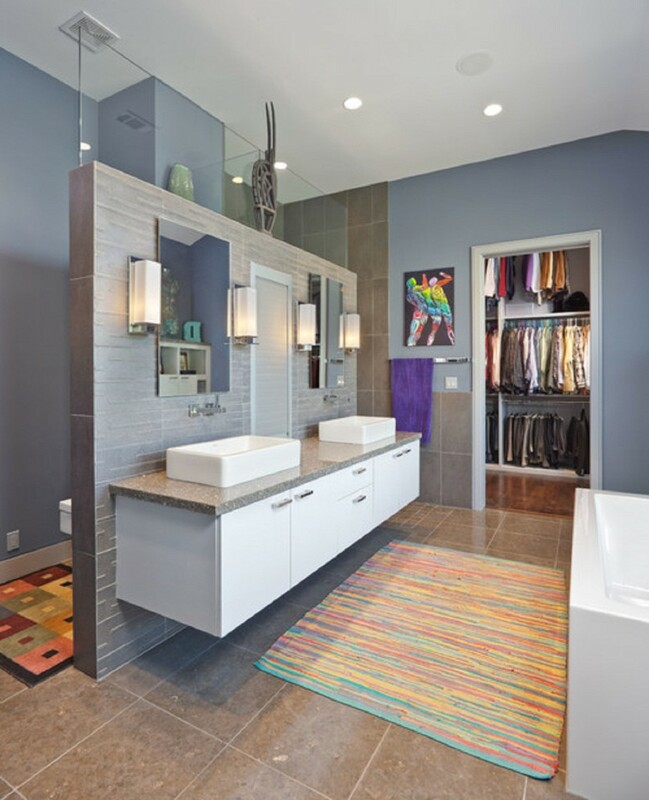 If you don’t try a sample, at least use the paint chips in your room under different lighting conditions (day and night) to select the best color. 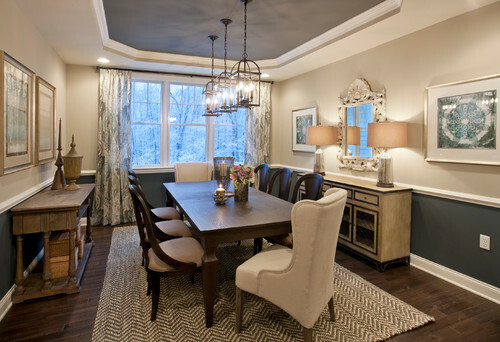 I hope I have helped provide you with some paint color inspiration! Thank you to all of the contributors who allowed me to use photos of their beautiful rooms. If you would like to read more of what I have to share, please like my blog on Facebook, or follow along on WordPress, or via e-mail (below). If you would like to see more of what inspires me, follow me on Pinterest. Thanks for stopping by!